Langtang Ganja la Pass Trek combine the trail of Langtang valley and allowing us to explore different aspects at once. 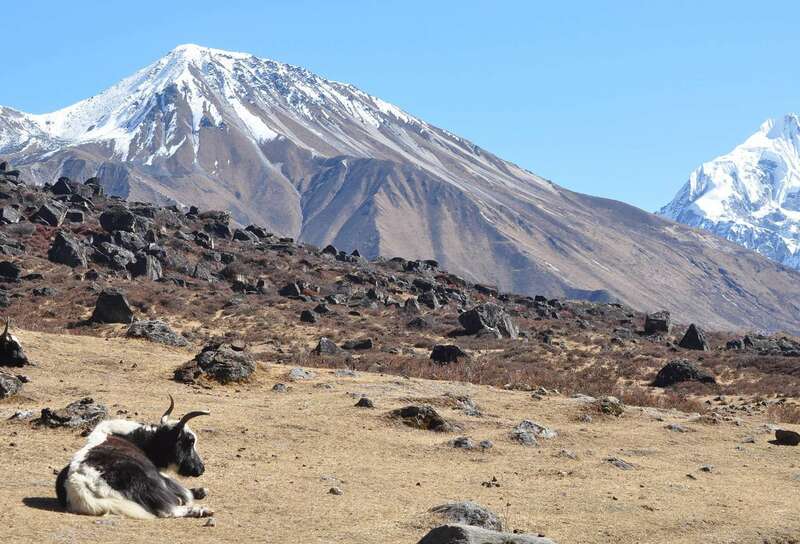 It connects with one of the hard passes of Ganja – La although it is offering outstanding adventure in the Langtang region. The feature of the trek is not much for from the Kathmandu valley but still wilderness. Moreover, we have an opportunity to make exciting hiking to Tserko Ri (5,000 m). As a result, it offers incredible views of Langtang range and beautiful alpine pastures. 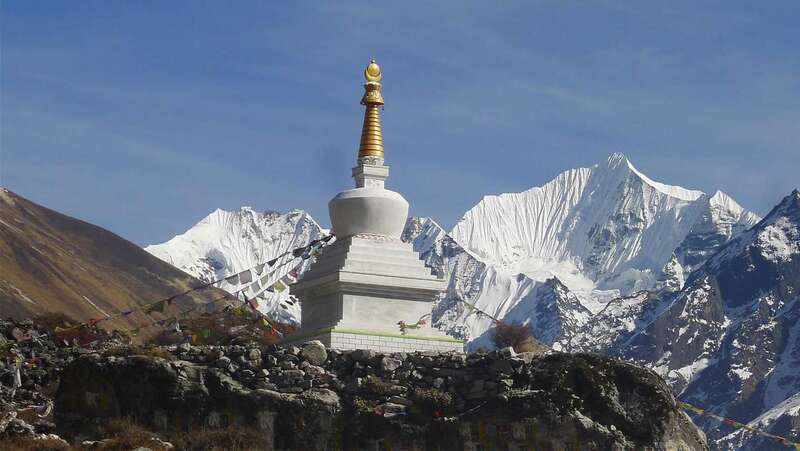 The taste of an off the beaten track gives us the Langtang Ganja La Pass Trek in Langtang region due to a pass of Ganja la and offering beautiful glimpses of the Langtang Lirung and other Tibetan peaks beyond it. Thіѕ trek to starts from Syabrubesi and required organized packages with a well-equipped team due to improper lodging facilities, steep climbs, and descents. 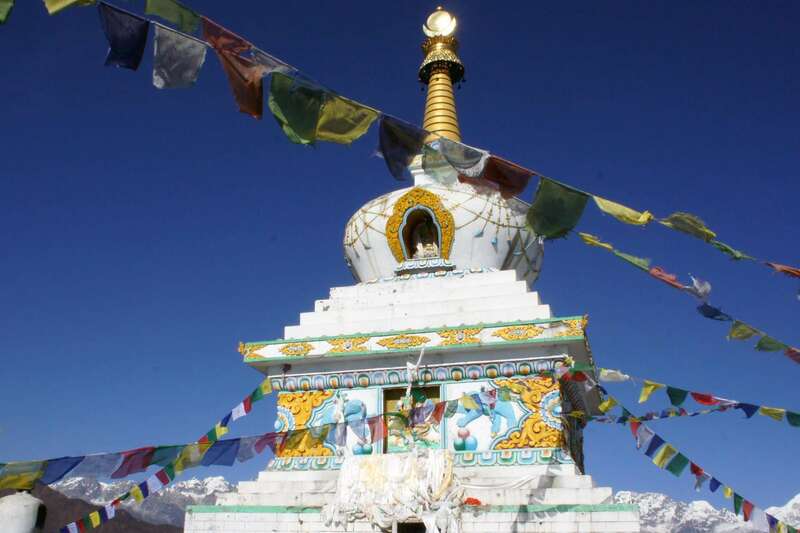 Likewise, the trails through the Ganja La Pass consists of many monasteries and people of Tibetan origin reside here. The Trek offers an extraordinary wilderness experience as well as cultural influence. 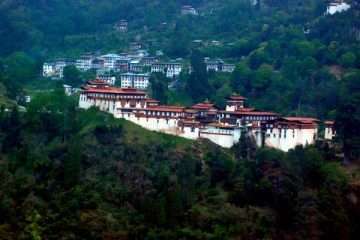 The Kyanjing Gompa to Tarke Gyang whereas situated a famous monastery. It is believed that to meditation by Buddhist master Guru Rinpoche. Hence the region is enriched in cultural aspects and warm hospitality of Hyolmo people. 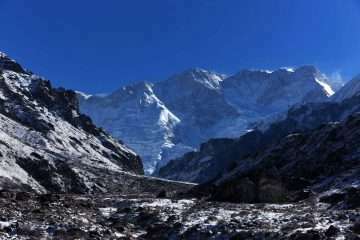 9: Ganja La Phedi – Ganja La pass (5122m) – Keldang (4250m) 6h00 walk. 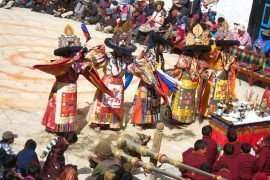 10: Keldang – Yak Kharka (Dukpa) (4000 m) 6h00 walk. 11: Dukpa – Tarke Gyang (2,590 m) 6h00 walk. 12: Tarkeghyang – Sermathang (2,610 m) 5h00 walk. 13: Sermathang – Kathmandu 6h00 drive. The early morning the team will head to Shyabru Bensi (1467 m.) by bus. 7-8 hours picturesque scenic bus journey to Shyabru Bensi, passing by the low land villages and rivers along the route can reach the start point of the trek. Night at the lodge. As usual in the morning, the scenery is the same, several chhorten, Mani walls and carving stones along the trail which suppose to protect from wind according to local. The Himalayas and spectaculars pastures surround Kyangjing Gompa. Taking today’s breakfast, our adventure heads to Ganja La Phedi. Initially, we descend to the Langtang River and cross it. Then, the trail goes uphill through rhododendron forests. As we arrive in the Yak pasture, we’re already at high altitude. It depends on the season getting to have our destination. It might be a long day walk snow-strewn path due to the winter snow. A night under the tent. Day 9: Ganja La Phedi – Ganja La pass (5122m) – Keldang (4250m) 6h00 walk. A super day of trekking today, as we cross the Ganja – La (5122 m) pass. It would be a hard day since one of the difficult passes. Ganja – La is covered by snow throughout the year and requires climbing gears to make the pass through the rocky moraine. Superb views from the pass and trek down to Keldang. Day 10: Keldang – Yak Kharka (Dukpa) (4000 m) 6h00 walk. A long day walks down to Yak Kharka along the prominent ridge and grassland with amazing views of the Himalayas. No water almost along the trail so, the campsite needs to be fixed in Dukpa because of the availability of the water resources. The night under the tent. Day 11: Dukpa – Tarke Gyang (2,590 m) 6h00 walk. 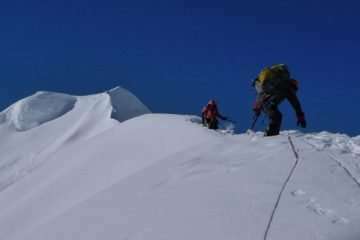 Today, the trail goes slightly down before making a pass of a ridge with an elevation of 4100 m. locally know as Ama yangri peak where celebrates the local festival(Nar Puja) in the full moon of February. Outstanding views of Annapurna, Manaslu, Ganesh Himal, Dorje Lakpa, Panch Pokhari, Gauri Shankar, Rolwaling and as well as Everest. Then; gradually descending through the dense forests of rhododendron to Tarkeghyang; a popular village of the region and situated the oldest monastery. Night at the lodge. Day 12: Tarkeghyang – Sermathang (2,610 m) 5h00 walk. It is easy and relatively flat and not much ascends to Sermathang passing through the rhododendron forests, villages, cultivated lands, and monasteries along the trail to Sermathang. Discover the village and its monasteries. Night at the lodge. Day 13: Sermathang – Kathmandu 6h00 drive. The village is mostly inhabitant of Hyalmo people. Today is our final day of the trek and possible to get the bus in Sermathang if the road is not destroying in the summer rain. Otherwise, descend to Melamchipul Bazaar then catch a bus to Kathmandu. Night at the hotel. Prices are quoted and payable only in (US$ dollars). All prices published on our websites, brochures, and marketing materials are set as low as possible. The trip prices may vary at any time subject to government actions, numbers of travelers, duration of holidays, standard hotel. An increase in transportation costs due to hike fuel prices before we have accepted your booking. However, we guarantee our prices which have already signed up for your tour. Please Consult us to Get a custom quote.